Difference between revisions of "Shadow Guard"
In the Dark Brotherhood year 34 ABY, Dark Jedi Knights Delak Krennel and Chrome sought to create the first mighty battle team for House Imperium. They dubbed it Shadow Guard. Shadow Guard would protect the Quaestor Kell Dante and the Aedile Talon Jade at all costs and beyond that, help to bring glory to the Imperial Clan Scholae Palatinae. Shadow Guard is stationed on the March Isles inside House Imperium headquarters not far from the main war room. From here, they strike into the hearts of their enemies from the shadows. Shadow Guard is designed to be a protective unit for House Imperium Leadership, and it is also used in battle as a Stealth Infiltration Unit. When the house is under attack, Shadow Guard strikes quickly from the shadows, and then just as fast retreats to them if there is sufficient force to take out. 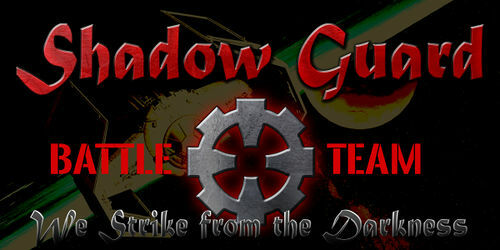 In times of war, Shadow Guard was created to be used as deep infiltrators, where they are tasked with sneaking over enemy lines to try and take out the enemy leadership. In Shadow Guard's short history they had already been a part of Scholae Palatinae battles involving the Forgotten. 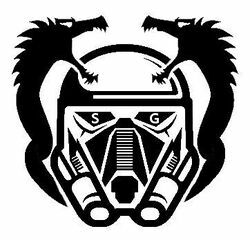 This was a series of battles and incursions against CSP dealing with enemy factions whose sole goal is to crush the Imperial clan. Battle Team of House Imperium, Created in 34 ABY for Stealth Attacks and Protection of the House Leadership. This page was last modified on 19 January 2019, at 19:05.